My post was to dispel any myths that folks may have for European systems. My POV is we need those helicopters urgently. I am not a fan of KA 226 having seen it up close now. LUH - great high altitude performance expectations. I will wait for trials. Should do well given HALs past experience with ALH. Ka 226 is a done deal. I would've liked to see LUH in big nos but from what I have read in news articles over the years, the plan all along has been 200 LUH and 200 Ka 226(or something else foreign) Even HAL isn't making any noise as I suspect they have been assured of order no. of 200 which makes them more than satisfied. Fennec was the one originally chosen in 2007 but that tender was cancelled after the corruption allegations. They competed again in the second tender but I don't think any government was going to take the chance of selecting it again. Doesn't matter if it was better or worse than the Kamov. deejay wrote: My post was to dispel any myths that folks may have for European systems. My POV is we need those helicopters urgently. I am not a fan of KA 226 having seen it up close now. Ah well. Why? Production quality, or low power? Also HAL finally waking up to providing service and spares helping its products reach 65% availability (hopefully will continue to rise till 80% and beyond for domestic designs). Philip wrote: A very detailed post was given by Ramana above.The KA-226 also underwent extensive testing and from official reports,was evaluated as being "better" than its Western counterparts.Let's leave it that. The army technology description has a company provided description; we dont have the actual IA reports etc. to state it was better than its western counterparts. No one also disputes the selection of the Rafale on technical ground,and it also was supposedly cheaper than the Typhoon. On a technical ground every selection can be disputed since each design has trade offs and its all dependent on what weights the evaluator adds to which criteria. Every defence deal will have some degree of political consideration too,especially if there is a virtual "dead heat" between the finalists! - Fills and IA need. The order mix shows this. - And helicopters are needed now not later. LUH may or may not be made later. Fennec got out of the competition due to bribes. No one would associate again as the allegation will come up whether true or not this time. Also not 2007 was clean mundu AKA time. I think Ka-226 presents an opportunity to develop bespoke pods for different applications. It could trigger innovation and create space for pvt involvement. I would love to see special operations variant with MG mounts and methods for quick embark/disembarkation. A unit could drop self contained pods at isolated areas (portable kitchens?) And pick them up when job is done. Looks like this deal is going nowhere fast, because of exorbitant costing (2.5x for local choppers at 40% indigenization). Which means the LUH may end up being the final answer. While the Army is largely pleased with the Rudra, save some niggles being sorted out with HAL, a serious unresolved flashpoint between the Indian Army and the copter remains its lack of an anti-tank guided missile. India continues to stall on a decision to award a contract for 124 launchers and 1,362 missiles to either MBDA or Rafael Defence for the PARS L3 or Spike ER respectively. The indigenous HELINA ATGM is still at least two years away from proving itself on the Rudra’s launchers. Livefist can confirm that Minister Sitharaman has been brought up to speed on the Rudra’s pecular ‘armed-but-weaponless’ situation and moving forward on a decision will be one of the things on her table soon. The Rudra can deploy 48, 70mm rockets at standoff ranges of more than 8 km, a turret mounted 20 mm cannon cued to its electro optical payload or the pilot’s helmet mounted cuing system. This provides Rudra immediate and accurate firepower against ground and aerial targets. Pilot only has to look at the target and fire. With an advanced ballistic computer, the guns are very accurate even at extreme angles. Fire and forget anti-tank guided missiles with 7-km range make Rudra an ideal platform for ground support roles. Rudra can carry four air to air missiles. These are infra red guided fire and forget missiles with off axis boresight capability. Pilot can engage the target using the helmet mounted sight or with the electro optical pod, while manoeuvering. State of the art sensors complement this tremendous firepower. Gyrostabilised electro optical sensors work on both visual and IR spectrum. Any type of target will be picked up and tracked at large distances, whether by day or by night. These targets can be handed over to the guided missiles or attacked with rockets and gun. The laser designator can designate the target for any compatible weapon. A comprehensive self protection suite would empower the pilot with essential situational awareness of the elctromagnetic and laser environment. It has those 48, 70mm rockets and the GIAT gun. Its sad that DRDO missile development are always so late that the rest of the products march on and get held up. So IA plans 7 squadrons for the Rudra helicopters. So once this Rudra production is complete the facility can be switched to LUH which is now undergoing trials? Manish_P wrote: Indranil ji, do you mean to say that the ceiling numbers of the KA-226 are minus the pod ? No ji for me please. I am just comfortable with titles. Kamov's website says that the Ka-226Ts OGE is 4600 mtrs. I don't know in what configuration. But, it will be light. Upadhyay describes that flight: "We started climbing stage by stage... 20,000 feet, 23, 24, 25, 26 and then 27,500. It had never been done before. We were hovering and watching a Cheetal (another helicopter) land just below us at 25,100 feet. Landing at that height isn't easy. We were ready to pick up the pilot if something went wrong. We already know that ALH can lift 600 kgs at 21000 feet in the summers. If LUH shares the high altitude genes of ALH, then it will run circles around a KA-226 at altitude. When IA/IAF was evaluating Ka-226T, it's engine was not even certified. Plenty of scope for 200+ LUHs as the Kamov deal is for 200 only, and tri-service plus civvy needs will require at least 400+ helos.The L UH must quickly finish its trials and enter production.KAs engines are French by the way. Reg.Rudra's missiles, why can't the missiles being used aboard the MI-35s be used in the interim until HELINA arrives? What "missiles" do the Indian Mi-35 carry which is not already on Rudra? To me, it made sense in 2007. May be even in 2011. In 2017? When 2 LUH's have been flying for the past 1 year or so? Indranil wrote: What "missiles" do the Indian Mi-35 carry which is not already on Rudra? Answering my own question: 9K114 Shturm. Has the LUH completed all its trials? How long is it going to take and when will it enter serial production? Will it really enter prod. in 2019 and at what rate? These are still unknown factors only estimates.Its design is also diff.No med. pods or modules that can be dropped off like mini- containers for differing roles. This is a great capability esp. for the mountains. However there are other regions where a conv. helo can do the biz. and the LUH will come into its own .As I said the civil market will also take off.Air ambulances have just started entering service.Recently there was a media report about a south- based hospital starting such a service. We also know that HAL's prod. rates are low.The IA has been waiting for years for replacements of its French origin desi-built birds which have in recent times been crashing more frequently.The IA is to get the first 60 built in Russia asap, part of the deal.No waiting time for the Indian plant to deliver, accelerating time for in induction. The pods are so useful an idea that NO heli manufacturer builds them and NOBODY, not even the host country uses them! The reason they are called postage size is because they don't have much clearance around them a large enough flat surface. So in this clutter, you want to add more adventure and add and remove 1 ton pods with next to no machinery? By the way, this pod you are putting back on has been lying exposed to the elements since the last time the heli left was there. How is it cleared for flight again? I will let Deejay comment on how idiotic that sounds. Let me draw a more realistic picture employed day in and day out by the armed forces. Heli flies in with a flat bed for luggage and a few chairs in case of in bound passengers. Heli unloads luggage and passengers and reloads with return luggage and passengers. Fast in and fast out. REquires less fuel. Much safer too. You can reach higher and further too. 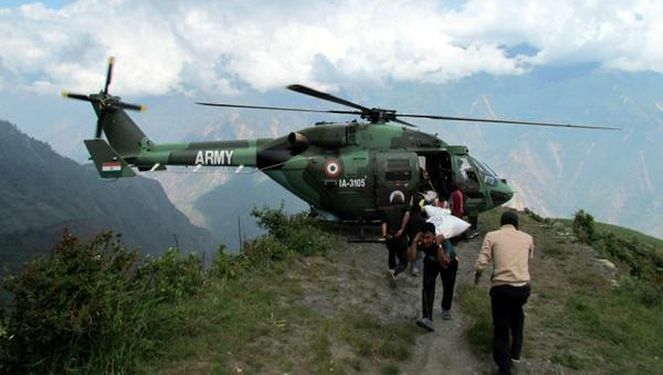 In case of a medical evacuation, heli flies in with medic, first aid, and in bound luggage. Luggage is dropped. Patient is loaded, and off they go. If a stretcher is required, a light weight stretcher is flown in typically weighs around 10 kgs. With a pod loaded with shiny medical instrument, you won't reach beyond a few 3000 mtrs. And you want to leave that pod behind sometimes? How cheap is this pod? This is what the "typical" looks like. You can hold on to whatever fanciful imagination you have, just because a Russi designed it. We don't know what HAL plans are for the helicopters. They have ALH/LCH, Rudra, LUH, Medium helicopter IMRH, replacement for Mi17. They have the old HAL helicopter factory bldg. A new one is supposed to come up in Tumkur. Where is the KA226 to be assembled? Wherever the KA226 is assembled (by HAL ), it could have been used to assemble more LUHs, right? What are we gaining exactly? When the Ka-226T was "selected" in Aug 2014, it was not certified either. It got certification a year later. Russia has not produced more the 30-40 Ka-228Ts since 2002, and we have a guarantee that their production rate will be higher then HAL’s? Indranil wrote: When the Ka-226T was "selected" in Aug 2014, it was not certified either. It got certification a year later. Please tell me that is a joke. 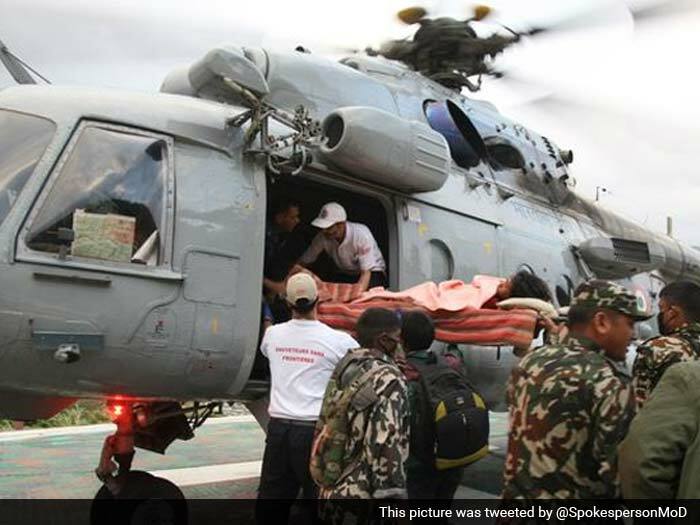 Did the MoD just buy a chopper that was not certified? I am not discounting what you are saying, but I cannot fathom on what basis the MoD cleared the purchase of an un-certified platform. Was this not known to them at the time of purchase? I am not singling out one thing. Just did not like the entire package. Having flown the Mi 17 family mostly, I am in love with Russian designs and understand how they make things but the Ka 226 is not the Mi 17. Will wait for more open source literature. Karan, HAL has not woken up to services and spare support. Ask the Nepalese. If HAL spruces up on this, I am pretty sure that not a single helicopter will fly in the Himalayas (Nepal, Bhutan, India) either military or civil and the Andes which is not either ALH or LUH. The performance difference with competition is that big. It will take a decade for the change to happen but it will happen. Indranil wrote: The pods are so useful an idea that NO heli manufacturer builds them and NOBODY, not even the host country uses them! You can hold on to whatever fanciful imagination you have, just because a Russi designed it. Yes, indeed, its hilarious the extent people invent fanciful reasons to justify. Dhruv & Mi-17 can carry any underslung containerised "pods" that the lower powered Ka-226 can. In the IAF & IA, the Chetak is being replaced by Dhruv and only Cheetah replacement is required that hopefully LUH can quickly fulfill. LUH has no weapon requirement and so its testing should be faster than LCH. 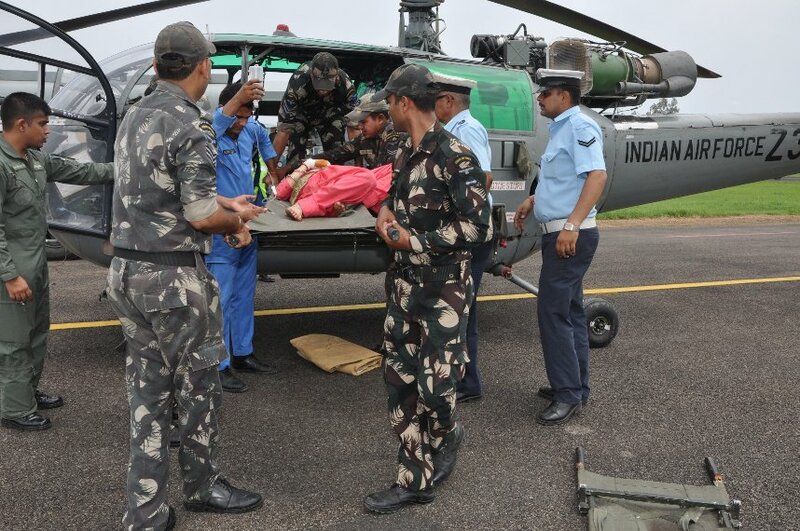 And after testing of Dhruv, Rudra & LCH, hopefully LUH can expedite the process. And if HAL develops new gearboxes optimized for higher power rating and better load capacity at sea level, then the Naval requirement too can be fulfilled by Dhruv & LUH. Last edited by ramana on 09 Dec 2017 00:22, edited 1 time in total. Wow! Unbelievable. How did they evaluate the performance of the Ka-226 before selecting it if it wasn;t even certified to fly with the engine that was being offered? Anyone still doesn't believe Indranil when he says this was done to keep the Russians happy? The key word is urgent. Has anyone driven far enough ahead of curve to see how many posts are supplied by helicopter? Please point me to someone who will answer that question without fudging and shifting the goalpost, which is the usual tactic on BRF. Admiral, why does that surprise you? How many more examples do you want? When is Gripen E's certification date. Meanwhile, HAL has to make LSPs of LCH on its own money in anticipation of orders. Ditto Deejay, what HAL can do with a world beating product like ALH is lesson world class lesson in mismanagement. They can't even get it certified elsewhere. Actually, I love Russian helis too. But pods?!!! I would have loved for India to say to save the money on this ToT, and plunk it into a collaboration between HAL and Kamov to develop a light and a medium coaxial heli with pusher props. There are guaranteed orders for that in India and elsewhere. Ditto tsarkar sahab. 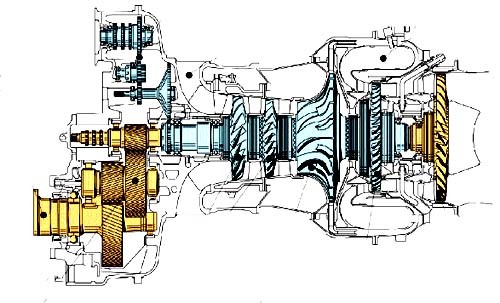 I don't how long I have been shouting for that higher rated transmission for better sea level performance. Instead, they have employed a bunch of young people to design an amphibian with rows !!!!! Austin, we did not ask for the Arrius engines. Kamov had been mulling them for a long time. They ordered their two engines in 2002, and got them in 2003. It took them 12 years to certify. But hey, why would Philip sir register that as slow? You raise a good point. IA/IAF's need to replace the Chetaks and Cheetals/Cheetahs is very urgent. It was pretty urgent in 2004. And I myself was supportive of the RSH program then. Even in 2008, when HAL was just showing cheap plastic models, I was in support of RSH. I used to be in support of RSH for another reason: I was hoping it will be built by a private sector company. Tata setting up Indian rotorcraft was such a happy moment for me (ofcourse the AW scam killed it). But in 2017, you can't say that Ka-226 acquisition suffices an urgent need. It is to be built by the same HAL by setting up a new production facility flies in the face of that argument! HAL knows how to build LUHs at much higher rate from day 1. Nobody in HAL/MoD/IAF/IA is ga ga over it. Intent was signed in 2015. The Russians acknowledged that NOTHING happened from then till late 2017 (when they talked to Sitharaman). Nothing else will happen till a high dignitary visits Moscow or New Delhi. That's how excited HAL/MoD/IAF/IA is about the project. It is todays equivalent of the MTA or US-2. But I agree, it is a done deal. It has to be completed unless Putin decides not to run for Presidency in 2018. Everything is "urgent" in India and that is because of long-drawn out acquisition process for imported weapon systems and for indigenous systems a lot of time for R&D/trails/etc. From 2004 -> 2017 how many rounds of RFI/RFP/trials/mistrials/retrials/selection/wait/etc for the light helo? 13-years (going on 14-years) later what was urgent back then still has not materialized. Same for fighter acquisition and other major programs of IA and IN. Shakti is manufactured in India 80 % , 20 % component comes from French outright ( this is as per the agreement ) was something the French OEM informed me when I inquired. Doc, the number is in thousands though not all our supplied daily, weekly or monthly. New posts come up regularly. Some older posts go out of use. The road construction in NE alone will have opened up 20 odd helipads. The regular posts on glacier are of course the most frequented. But they are a tiny fraction of the overall helipads just in hills alone. nachiket wrote: Wow! Unbelievable. How did they evaluate the performance of the Ka-226 before selecting it if it wasn;t even certified to fly with the engine that was being offered? Anyone still doesn't believe Indranil when he says this was done to keep the Russians happy? Isn't this what lead to the AW-101 scandal? No actual trial on the mil version etc. We blame MoD for delays, but in this instance their delay might end up helping a domestic product! Hail the Babus at the MoD for this !!! Indranil wrote: When is Gripen E's certification date. Meanwhile, HAL has to make LSPs of LCH on its own money in anticipation of orders. Apart from the usual allegations that we are import friendly, the other aspect is that the LCA, ALH and LCH are first time products by a new designer and manufacturer. The HF-24 and the Kirans apparently do no matter to some folks. Certifying a new engine on an already flying design is something that can be expected to happen without major problems, if the engine dimensions, design and controls are known. The original russian engines on the civilian KA-26 was the Vedeneyev M14P, an engine designed in the 1940s which still has a carburetor, and produces 360 hp (268 kW). Last edited by Gagan on 09 Dec 2017 13:48, edited 1 time in total. Last edited by Gagan on 09 Dec 2017 13:56, edited 1 time in total. AW scam was obvious when signed, exorbitant cost for 12(?) birds when even O'Bomber had cancelled his order for 7 cost being the official reason - also due to pressure from US OEMs.Our price was far in excess of that for MC-1. News to me the the ALH is not certified internationally.How did we then sell it to Ecuador? Military sale does not need international civil certification. Chief designer states that the podded cabin on the 226 can be put on in 1 hour. 1 hour for putting it on, 1 hour for taking it off. The Ka 's detachable cabin pods are integral to the bird unlike conv. helos.They if lifting any pod/ load would have to do it underslung.The weight of their cabins would reduce the weight of any underling payload.A Kamov could also carry an underslung load as well as the detachable cabin/pod. Is I hr for detaching the cabin a bit long ? A report posted by another member said that it required only 2 people to detach/ attach it. The Indians did not ask for them for any engine changes. We had no interest in the heli back then. A 3500 kg heli, powered by two 250 hp engines is woefully underpowered. They knew it and decided to change the powerhouse in the late 1990s itself. 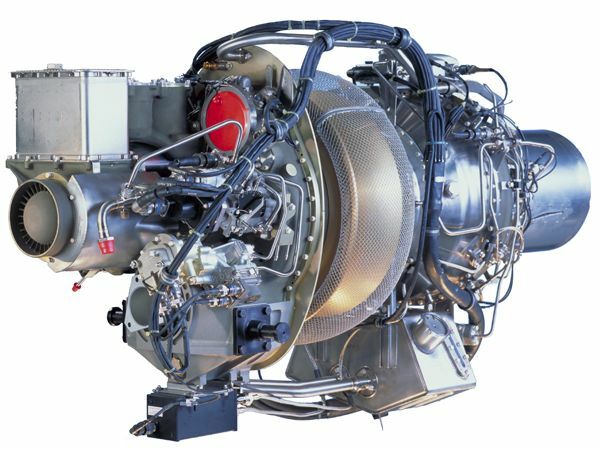 After consulting with Turbomecca, they ordered the new engines in 2002. They got the engines in 2003. The Indians enter the frame in late 2004. They could not field the heli with the new engines in the RSH competition. 'This was cited as one of the reasons by the forces for the non compliance to requirements when RSH was canceled in 2014. Interestingly, Putin came visiting in 2014 and personally put in a word for the Kamov. The MOU to Buy and Make 226Ts in India was signed soon thereafter and cemented into place when Modi visited Moscow in 2015.